Technology has disrupted almost every industry to date, in ways both great and not so great. But in a world where time is becoming scarcer, the fusion of technology and food is an advantageous one. 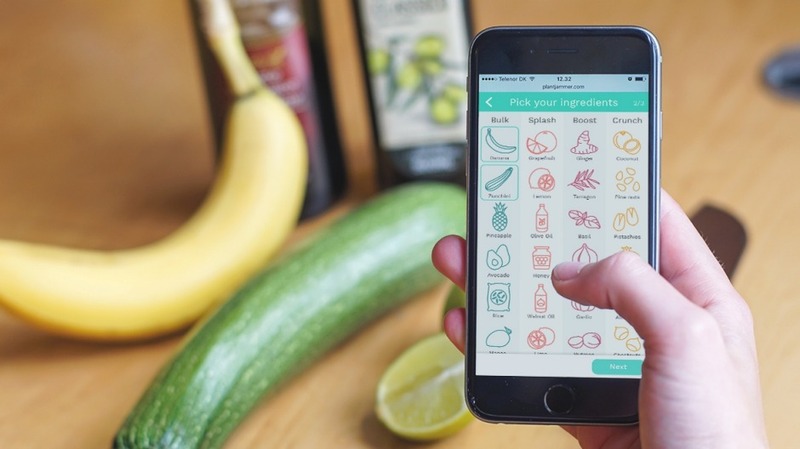 There is a fresh wave of apps out to change the way we cook; some raising awareness of sustainable cooking, some video apps, and others based on the Tinder model. In the depths of the internet and app stores, we have uncovered some of the best, all of which share the same glorious theme – convenience. Set up with the intention of educating people about how leftovers can be repurposed, this Danish start-up matches food pairings based on what you have left over at home. Plant Jammer is an app Australians may well need, with the average household throwing out almost $1050 of food each year according to the 2017 RaboDirect Financial Health Barometer. That equates to a total national wastage of about $10 billion worth of food annually. Plant Jammer users can select what sort of meal they would like to eat, the four options being salad, pasta, pizza or a wok-based dish. The app is vegetarian based (carnivores, don't leave yet, there's a wide world of food minus meat to be discovered here). The app then prompts you to select one key ingredient and generates food pairings based on your selections. Not only does it create a custom recipe based on your choices, it also tells you how to cook that dish. Inventive and speedy, Plant Jammer can save lot of time - and dollars - too. Crave asks users for their dietary preferences, and then proposed a series of dishes they can eat based on their location. It even tells you how many kilometres away it is. The dish remains the focus in the app, as opposed to where it is cooked. Currently, Crave is only set up for Newcastle, but has plans to expand nationally. We'll keep our eyes peeled. What the F--- Should I Make For Dinner? Excuse the language ahead, but this app is a lifesaver for those whose brain juice has been all sucked up at work and can't figure out what to cook when getting home. Sometimes, you just need someone to step in and gift the answer. What the F**k Should I Make for Dinner? is a website that provides one dinner suggestion at a time from its accompanying cookbook. If you are not a fan of the meal the app proposes, you can let it know in the most entertaining way possible. For instance, the site may advise you to cook up some Moroccan roasted vegetable soup. You have the option to click "I don't f---ing like that" or "I'm not f---ing vegetarian". How about sticky glazed pork ribs? If you all of a sudden don't eat meat, tell the app "I'm a f---ing vegetarian" and it will take note. Keep searching until you find one that tantalises the tastebuds. Then, click on the dish to be redirected to the recipe. Voila. Tasty, the social media channel that produces and posts notoriously easy and enticing quick comfort meals has expanded from its Facebook, Instagram and YouTube confines and is now in app form. Buzzfeed (Tasty's creator) set up the app version this year, allowing users to search for video tutorials among a plethora of quick recipes based on their culinary preferences. Perhaps you're in the mood for a protein-packed Buddha bowl, a one-pot garlic Parmesan pasta, or honey mustard chicken nachos if you feel like something on the cheekier side. Tasty takes users through the recipe step by step to make cooking seamless. Think of Paprika as your personal cookbook customiser - it allows people to organise recipes from anywhere on the web. The app automatically syncs if you have it downloaded on multiple devices, meaning you can cook anytime and anywhere, whether you have your laptop accessible at home, or working off a mobile in your Airbnb across the other side of the world. If that wasn't enough, Paprika allows you to click on ingredients within your bookmarked recipes and save them to the app's integrated shopping list. There is also the option to keep a record of what leftovers you have at home, to refer to when you're out shopping for goodies and ensure you don't buy more than necessary. Paprika is also ideal for those who are renowned for leaving hard copy shopping lists at home. Ticks for efficiency.